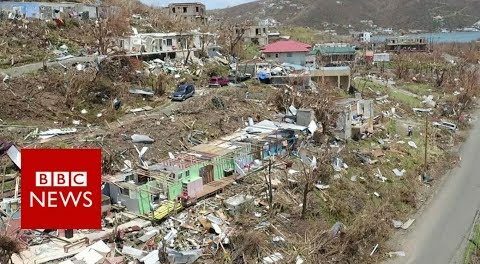 The experience of Hurricane Irma has shown that both locals and expats are equal in the eyes of God, and they must work together as one BVI to rebuild the Territory. “You go around town and one of the things I was going to say is that Irma was a humbling experience, and it was an equalizer. If you go into many areas, you see clothes on the lines, everybody throwing them on the grass and so on, like we used to do before,” related Hon. Mark Vanterpool, Minister of Communications and Works. He said that persons are also visiting his supermarket in search for clothespins. “So it was a humbling experience and we want to thank God for that lesson that we have learnt and try to use it going forward. One of the things I try to do, encourage people to be positive…I say, one day at a time we will rise…Let’s work together one day at a onetime to build back this country,” the Fourth District Representative stated. Hon. Melvin Mitch Turnbull, Second District Representative, said that the experience of Irma has sounded to all Virgin Islanders and others that they are one people and it is important for them to understand that. “We are one Virgin Islands, one people under God and I think that even though our forefathers didn’t have as much education , as much money as we had they had the common given sense that they needed one another and I think that is the only we are going to get through it,” he said. Hon. Turnbull said that they must work hand in hand with their brothers and sisters to get through this period. Hon. Myron Walwyn, Minister of Education and Culture said that this is time for young people to understand the fruits of hard labour as they will now be able to take part in the rebuilding of the Territory.